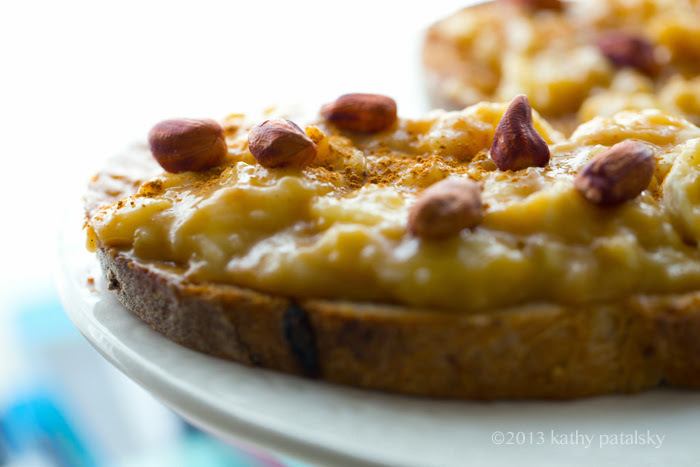 Maple-Cinnamon Peanut Butter Banana Toast. Healthy Snack! 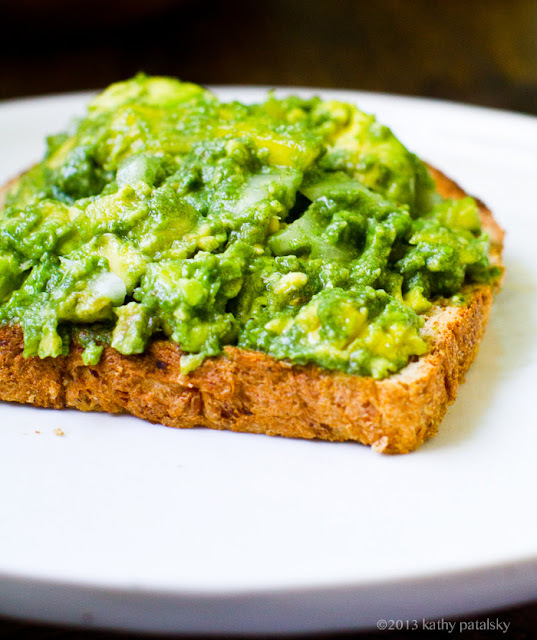 If you love avocado toast, give this sweet spin a try. 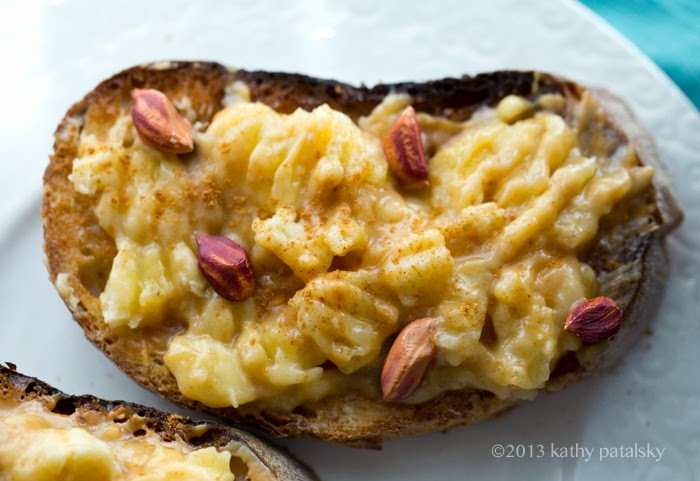 My Maple-Cinnamon Peanut Butter Banana Toast is a healthy snack or breakfast bite that you can whip up in a flash. You can even get creative by adding toppings like healthy chia seeds, ground flax seeds, granola, cacao nibs or even a sprinkling of raw hemp seeds. You could even make this a dessert-y treat by drizzling some melted coconut oil + dark chocolate on top! 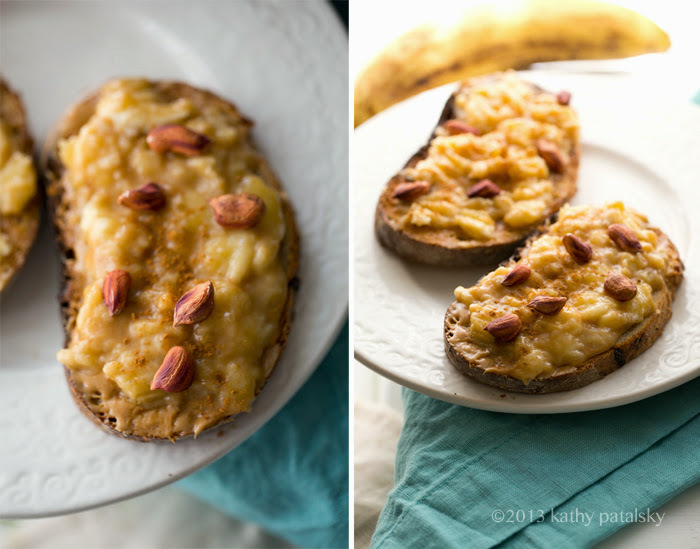 Savory toast lovers, try this sweet spin on an easy recipe..
Kinda looks like the Andy Warhol banana, yes? Happy 7. Special day today! My husband and I celebrate our 7th wedding anniversary. 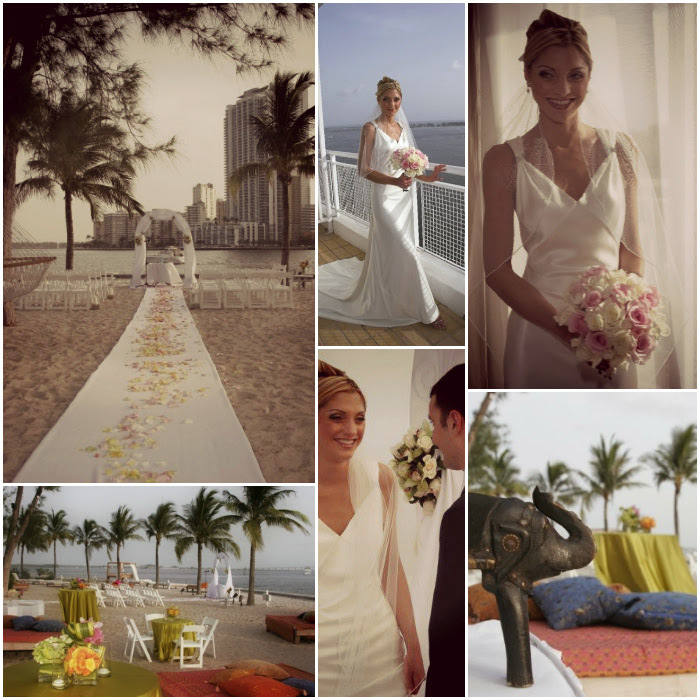 Seven years ago today we got married on a beach in Miami at the Mandarin Oriental Hotel South Beach. Best day ever. Crazy how the years fly by, that cliche is true! But the adventures that filled that time are so plentiful that I am excited to keep going on this crazy journey of love, life and a whole lot of happy-silliness. Marriage is a dive. A blind dive into a pool you haven't tested the temperature or depth of. It requires a lot of faith, curiosity and optimism to take that leap. It is a scary life decision for sure! But my leap of faith has shown me that a committed relationship can be a gift if you can find that person who you can call your best friend and partner in crime. Someone who loves you unconditionally not just through dramatic phrases like "in sickness and in health" but simple, real moments like "in grumpy moods and happy ones." Someone who understands your core, so all that shiny, glossy, clean "surface stuff" really doesn't matter over time. The deep, messy, complicated stuff below is what makes me proud of my relationship. Optimism --> I was just reading about this amazing couple yesterday and it makes me confidant that true love really can last a lifetime even in today's crazy world of headlines that would make you believe that long lasting marriages are impossible. So far so good. Lucky number seven today and so many more to come. Fellow relationship-ers, what is your secret or what have you learned from a long, happy and healthy relationship? 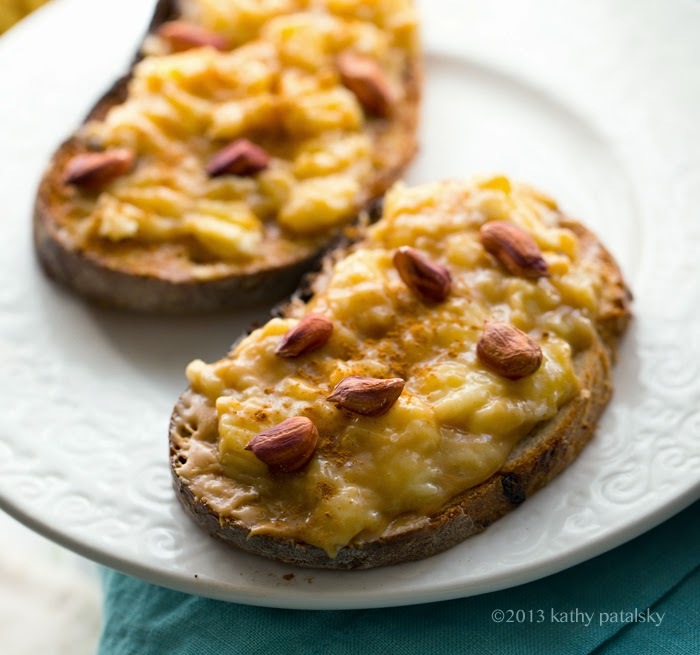 But for today, some easy-amazing banana toast!.. 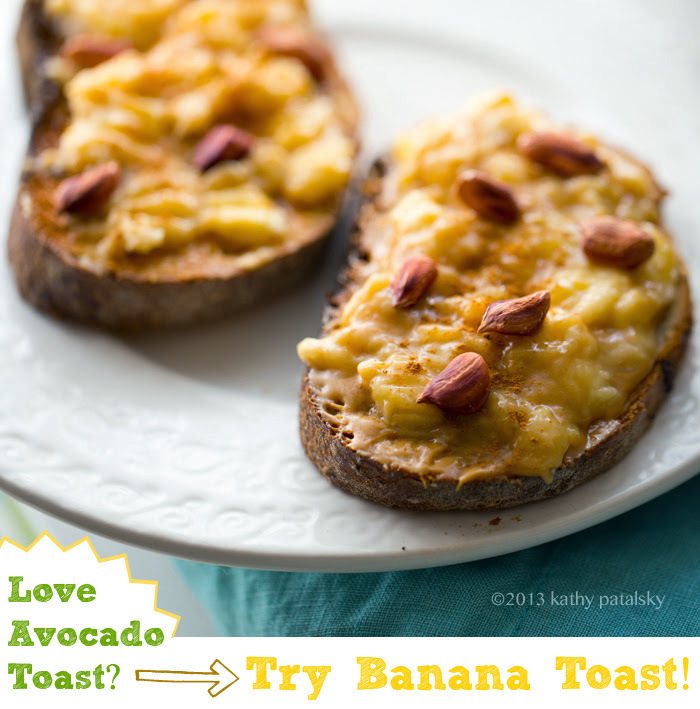 Like I said above, if you love the ease + yum of avocado toast..
Give BANANA toast a try for a sweet spin..
Sweet Toast. 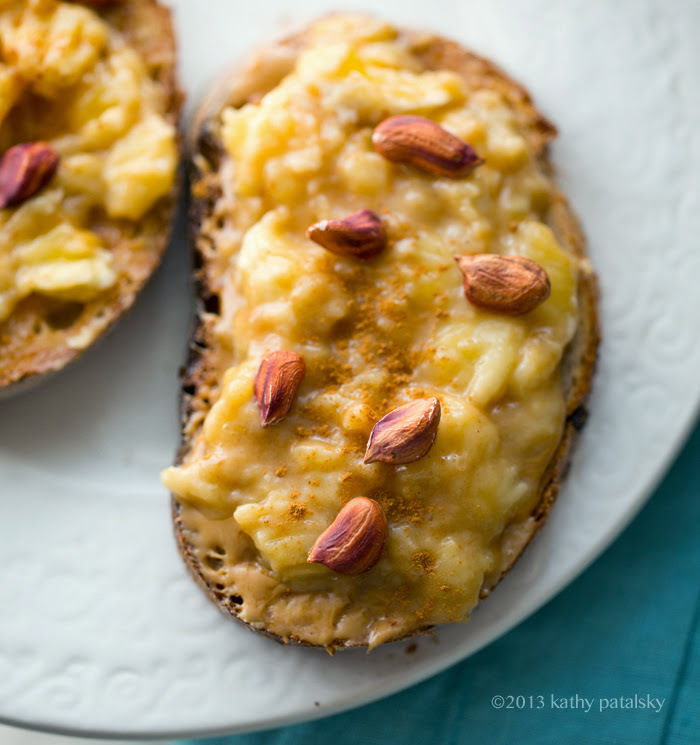 This recipe combines rich, creamy, savory nut butter with a simple sweet banana. Some warm and toasty bread, flavor accents and done. Easy Recipe. 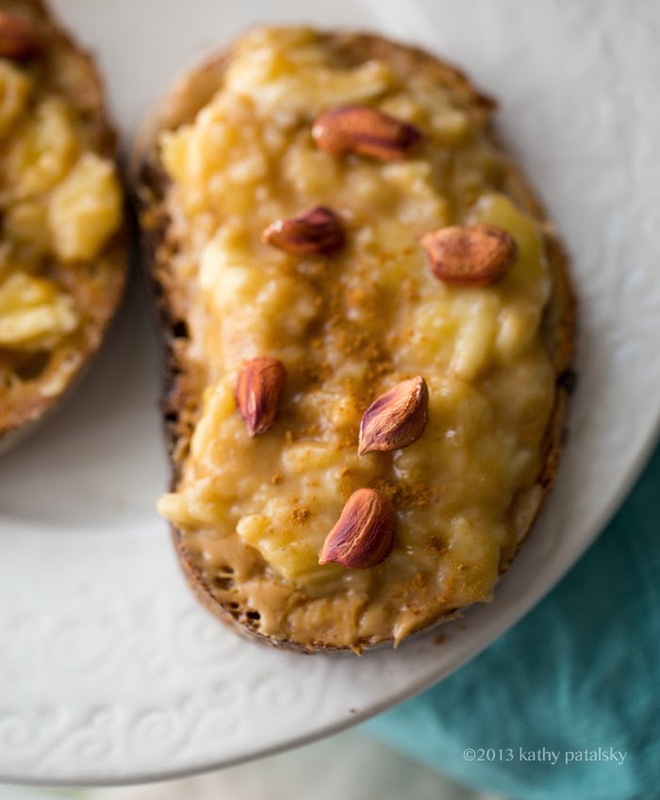 All you need are some basic items like a black-spotted ripe banana, cinnamon or other favorite spices, maple or agave syrup (optional), your favorite bread for toasting and of course some creamy nut or seed butter (peanut, sunflower or almond butter will all work). 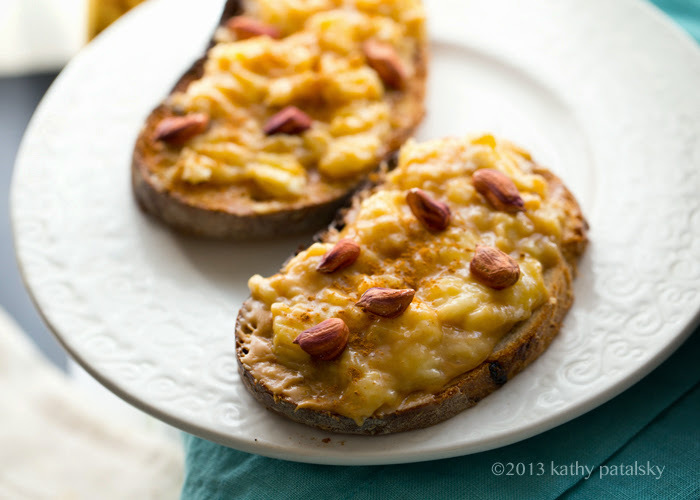 This simple-delicious recipe is so easy to make! Mash Up. 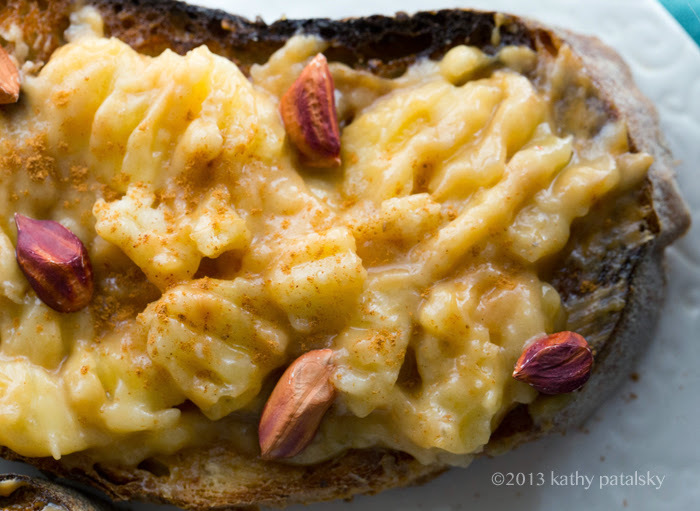 The "banana mash" may seem a bit odd since you usually just slice and serve bananas on nut butter toast right? Well mashing really makes this dish different - almost like an instant homemade banana jam - like a sweet fruit spread. Plus via mashing, the cinnamon and maple flavors become infused into each banana-y bite. Kids should love this recipe too! Let them mash their own banana and even spread it themselves. They can add fun toppings like peanuts, crushed seeds or even cacao nibs, a few dark chocolate or carob chips or a sprinkle of cacao powder. I added some raw jungle "striped" peanuts on top..
1. Toast bread. Set aside. 2. 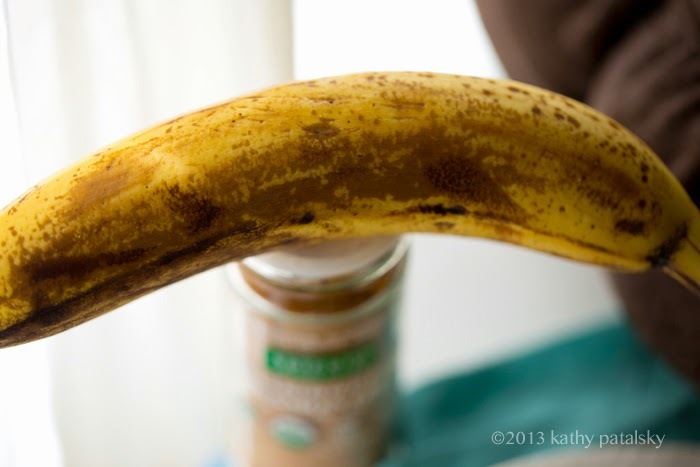 Mash your banana, nut butter, spices and sweetener. 3. 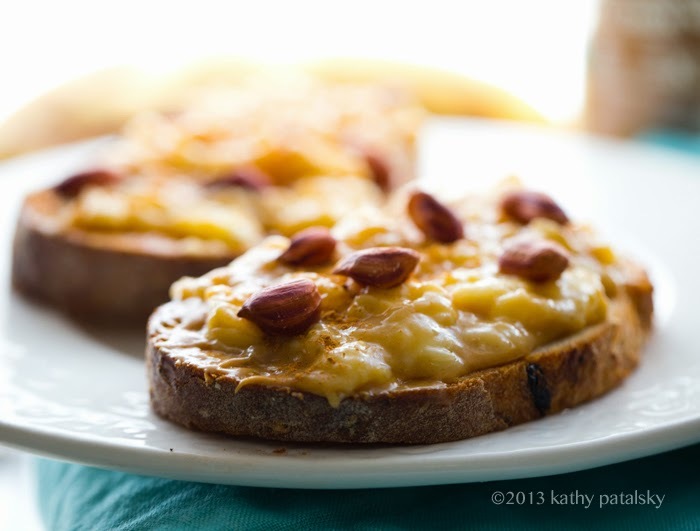 Spread a layer of nut butter on your toast. Then follow with your banana mash. 4. Add optional toppings like seeds, nuts, cacao or more fruit. Serve!